We look at some of the best shows. Entering the Super Bowl stadium as a gold gladiatorial leader, it was clear Madge was not there to mess around. Launching into long-time favourite ‘Vogue’ while surrounded by Roman soldiers, Madonna had the whole crowd singing along. Later in the performance she was joined by LMFAO and led a cheerleading squad, including Nicki Minaj and M.I.A. Despite M.I.A.’s sneaky middle finger to camera move, the focus was entirely on our Material Girl as she finished the incredible performance with an epic rendition of ‘Like A Prayer’. If this list was based on the best Super Bowl entry, Katy Perry would win hands down. Performing her track ‘Roar’, Katy rode a huge gold lion into the stadium and it was awesome. Joined by Lenny Kravitz and the infamous Left Shark, one of the best moments was when a Missy Elliott shaped silhouette emerged and ‘Get Ur Freak On’ played, marking the rap Queen’s first high-profile appearance in years. It was the most Las Vegas, over-the-top performance the NFL had seen, and we loved it. The king of pop gave the 1993 Super Bowl audience exactly what they wanted. Moonwalking through smoke and impressive pyrotechnics, he delivered a medley of hits including ‘Billie Jean’ and ‘Black or White’. As he played a snippet of ‘We Are The World’, the crowd turned over cards to reveal drawings by local LA children. He hammered home his message of harmony as, surrounded by 3,500 children, he finished the spectacle with ‘Heal The World’ while a blow-up globe was inflated on the 50 yard line. Mother Monster absolutely slayed the show this year. Beginning the performance on the roof of the stadium, she performed a rendition of Woody Guthrie’s ‘This Land Is Your Land’, a song which has become a popular anthem at rallies protesting Donald Trump, before literally jumping onto the stage. She then delivered all of the classics, including ‘Poker Face’, ‘Just Dance’ and ‘Bad Romance’. Perfect and patriotic, Gaga set aside a direct speech about politics to let her songs speak for themselves. There is only one performer who could put on such an awe dropping performance that the power literally cuts out because it’s too great, and that’s Beyonce. Performing hits such as ‘Crazy In Love’, ‘Baby Boy’ and ‘Love On Top’, Bey truly ruled the world at that moment. Topped off with a surprise Destiny’s Child reunion, it was poptastic and perfect. Three years later she returned to reclaim her throne, stealing the spotlight from Coldplay (soz Chris) with then new track, ‘Formation’. All hail Queen Bey. It was no shock Prince had one of the best Super Bowl Halftime performances of all time. In the midst of a Miami thunderstorm, he exceeded all expectations. Playing hit after hit, he included a Foo Fighters cover and finished with an epic guitar solo to ‘Purple Rain’. It was Rock’n’Roll, it was arrogant and it was totally amazing. Widely regarded as the best Super Bowl performance ever, U2 took to the stage just a few months after 9/11 and made their halftime show a tribute to all of the victims. Opening with ‘Beautiful Day’, the names of the dead were displayed on a huge screen as the band played ‘MLK’ and ‘The Streets With No Name’. As names scrolled upwards to the heavens, it was an unforgettably moving and powerful sight. At the end of the performance, Bono tore back his jacket to reveal the stars and stripes: the crowd went wild. 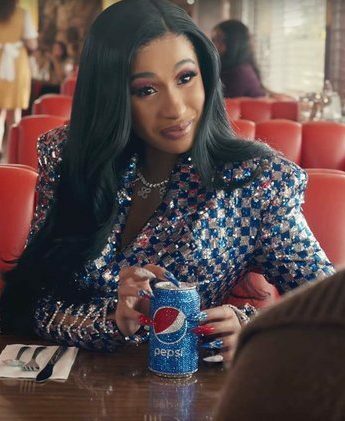 Cardi B serves pure bling in Super Bowl's new teaser advert and it's a real schmood.